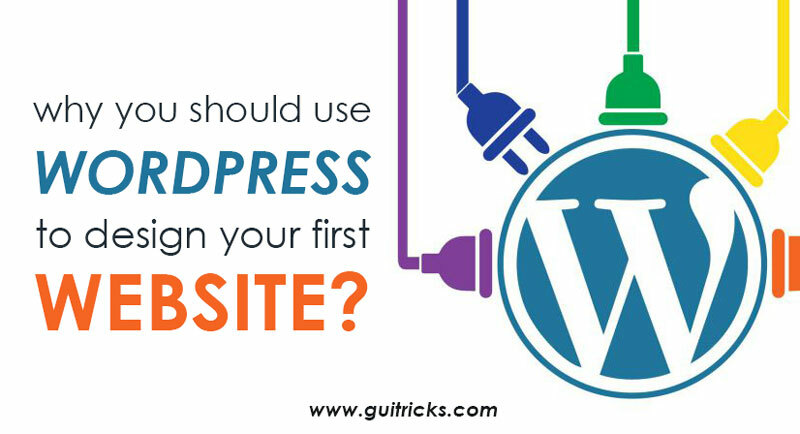 Why You Should Use WordPress To Design Your First Website | GUI Tricks - In Touch With Tomorrow! 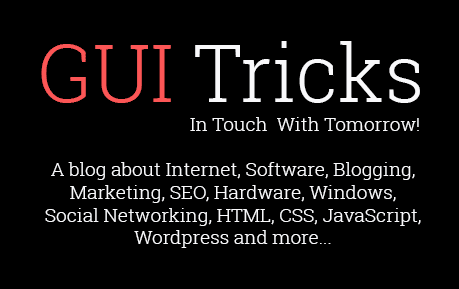 Why You Should Use WordPress To Design Your First Website - GUI Tricks - In Touch With Tomorrow! You have probably heard about WordPress – it is a great blogging and website platform that hosts some of the most popular blogs and websites. And when the time came for you to design your own website, you first turned to this popular platform. But with so many other options out there, it can be hard to decide which one to pick to be the home of your business website. If you are in need of information on how and why WordPress is the best choice for you, here is a list of reasons why you should use WordPress for your website. According to statistics, 26.7% of all websites are powered by WordPress and it is almost 75 million sites. With custom design, HTML websites, you would have to hire a webmaster to update your content, add more things and maintain your website on a monthly basis. But with the simplicity that WordPress offers, you do not have to do that. It is extremely easy to use and even those who are not that skilled with computers can easily handle it. No matter what your business is, which niche it belongs to and what kind of website it needs, it can be created on WordPress. From bare-bones simple blog to a complicated website with many pages and additional elements – this excellent platform can do it. There are thousands of paid and free themes that you can use. If, however, you are not satisfied with your options, you could always design a new one for yourself or hire someone to do it. The best thing is, you do not have to be extremely skilled with HTML, CSS or PHP and it will not take you much time to do create a wonderful theme all your own. With professional services from website developers costing more than $2000, it can be hard to decide upon spending that money, especially for small and medium businesses. But with WordPress and its simplicity, this is not an issue. It will not cost nearly as much and you can do some of the design on your own and still get the same effectiveness. This platform is SEO friendly and Google loves it. The practices used to create WordPress and the fact that it's text-based, makes search engines display results from WordPress high in the search results. In addition, there are a lot of SEO plugins on WordPress that help the websites find their way to the screens. This is a great thing for every blog or website and it could help in their development. WordPress has more than 50 000 plugins, most of them free. These plugins make an ordinary website or blog into something powerful and modern – they can give you aesthetic features, security, SEO optimization etc. Some of the most popular plugins on WordPress are related to SEO optimization. You could use, for example, WordPress SEO by Yoast, SEMrush, Google Keyword Planner or any other. Also, WordPress, sadly, does not offer content plagiarism checking tool, but you could always use other free tools like Copyscape or Academized. This part is crucial because all your SEO efforts can be useless if your content is not unique. Most complaints on other platforms are related to content management. This is another area where WordPress is the best. Content is easy to post, edit, erase and format – you can do it yourself, without hiring anyone to do it for you. WordPress also offers free spell check as you type or paste the text – however, this does not cover all of your mistakes, so it is recommended that you use some other free tools like Big Assignments for proofreading and grammar or State of writing and UK writing for editing. Formatting with WordPress is also easy as you can add bullet points, bold or underline your text or anything else that you may want to do – but in case that you need some more formatting help, there are many tools available online. WordPress has been here for ten years, supporting brands, bloggers and websites. It has myriad of help resources if you stumble upon a problem, great developer team that is always there for its users and a friendly community who loves to help. In case your concerns are more related to security, updates and changes are made smoothly to ensure that WordPress users are secure and safe on this platform. And if you do all necessary updates and use recommended tips you can be sure that your WordPress website is secured. If you are in need of a website but you do not want to spend a lot of money or time then WordPress is the choice for you. It offers so many great tools and options for everyone, no matter how skilled at working with coding and website maintenance. This is also a great option for small or medium businesses who would like to have an online presence but they do not want to hire web designers on a monthly basis to do the updating and maintenance. WordPress is fun, easy to use and excellent in every way.